Perfect for extended stays or family vacations, BEST WESTERN PLUS Encina Inn & Suites offers a variety of accommodations including guest rooms and spacious suites in Santa Barbara. 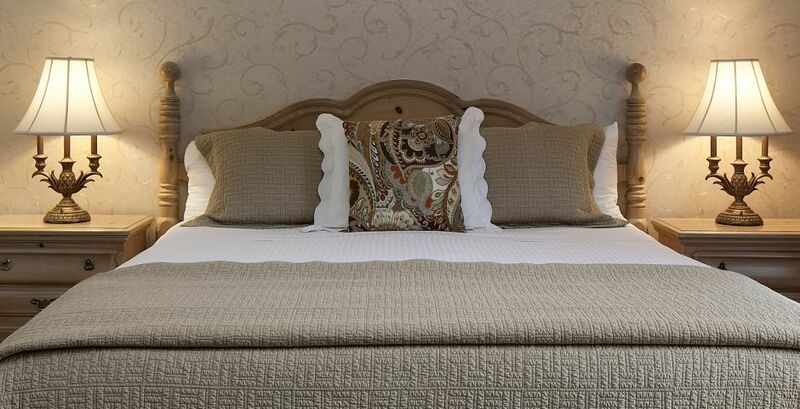 Sumptuous bedding and floral accents exude quaint country charm. 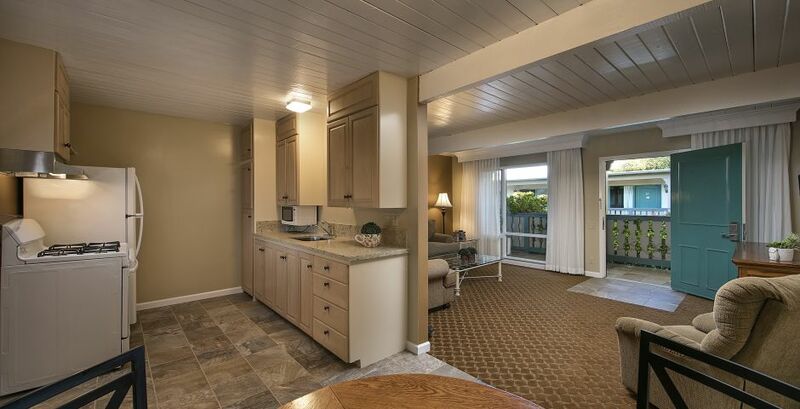 Many of our accommodations in Santa Barbara have full kitchens and our very own Live Oak Cafe offers room service. 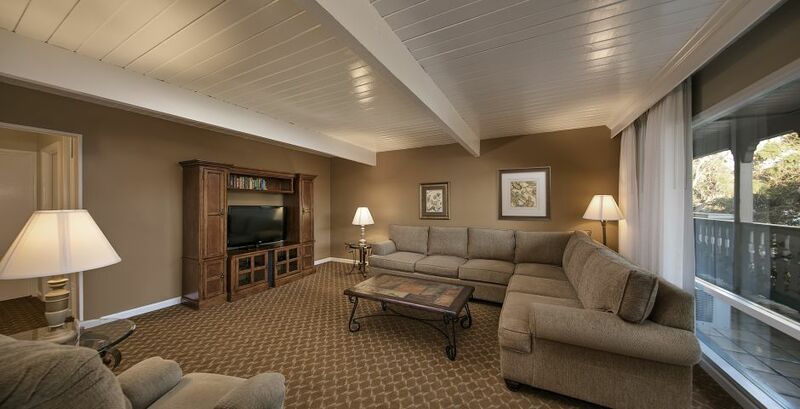 Reserve one of our spacious rooms or Santa Barbara suites today. Stay in gracious and updated Santa Barbara, CA rooms featuring sumptuous Double, Queen or King beds, free Wi-Fi, flat panel TVs with HBO and room service. Browse our collection of accommodations and book your stay today. Stay in expansive Santa Barbara suites for a great value and enjoy such features as free high-speed Wi-Fi, room service throughout the day, flat panel TVs with HBO and separate sitting areas for dining and relaxing. Our townhouses in Santa Barbara are the perfect second home by the sea, offering a spacious living room, fully-equipped kitchen, free Wi-Fi and more. 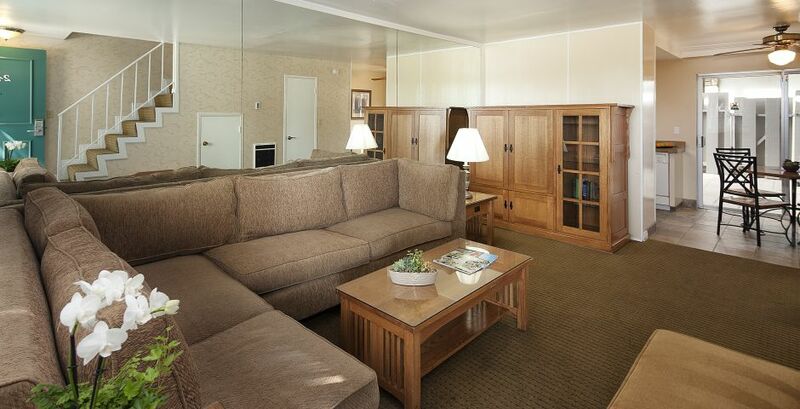 Experience our Queen lodging in Santa Barbara, CA featuring a pillow top bed, a relaxing sitting area and free Wi-Fi. 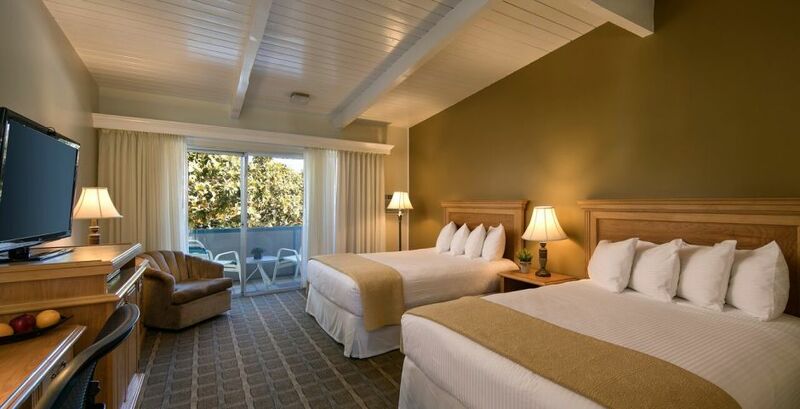 Enjoy your plush pillow top King bed in our well-appointed accommodations in Santa Barbara, CA. Stay in a well-appointed room outfitted with two pillow top Double beds, free Wi-Fi and charming, country-inspired decor. This suite offers a choice of King, Queen or two Double beds, a living room with sleeper sofa and dining area. Stay in an oversized Two Bedroom Suite with a fully-equipped kitchen and dining area. Stay in a King suite featuring a living room with Queen sleeper sofa, a fully-equipped kitchen and patio that opens to the pool area. 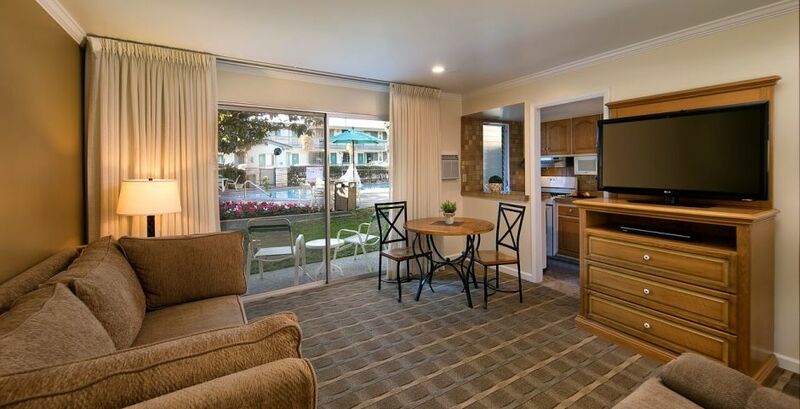 Our Santa Barbara townhouse rentals offer two stories of living space with a fully-equipped kitchen and living area.